Madison Taliaferro spent weeks in the hospital in 2012. After a decade of suffering from cystic fibrosis, she underwent a double lung transplant. She powered through the difficult surgery and the recovery that followed –long days of physical therapy and rehabilitation. Her parents were there. Her best friend visited from Kansas. Grandparents rotated shifts so she was never alone. But one request still lingered. “I just wanted to see my dogs,” she remembers. Having suffered from the effects of chronic illness for the decade prior, Madison was no stranger to long days at home, isolated from the school germs that could turn her illness into a critical condition with a single sneeze. When her friends couldn’t visit, her dogs were there. But at the hospital, they weren’t. 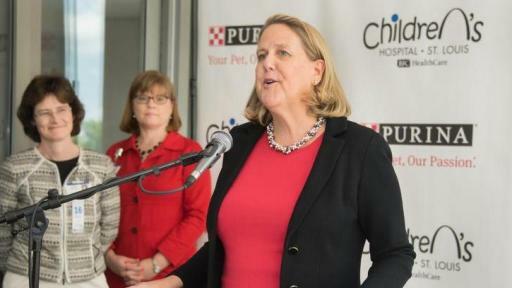 “As soon as she suggested it, I knew we had to make it happen,” says Larry Vancil, director of facility services at Children’s. 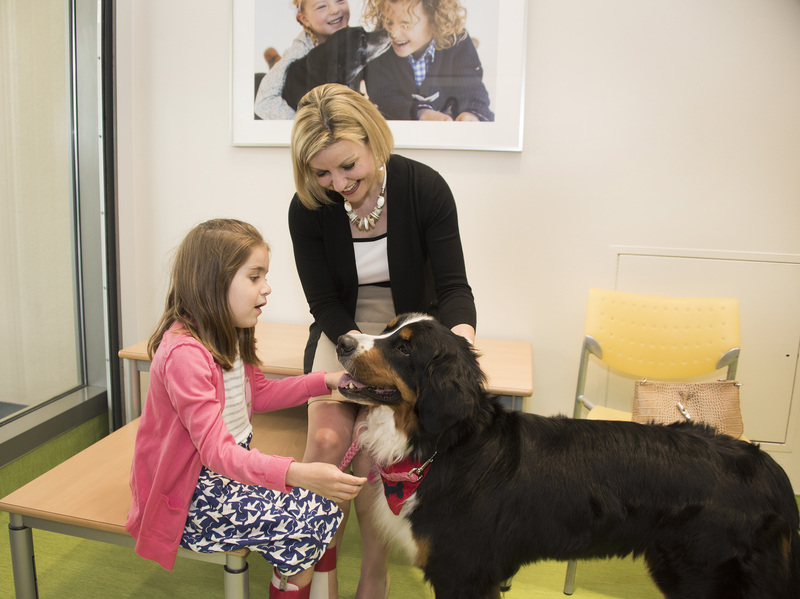 The Purina Family Pet Center at St. Louis Children’s Hospital gives patients the opportunity to see their pets without leaving the building, their doctors or the technology on which so many of them rely. The 300-square-foot room, adjacent to the hospital’s second-floor entrance, features washable surfaces and windows to provide natural light. It can accommodate a child in a wheelchair or hospital bed, and provides a comfortable, private visiting space for the child, pet and family. 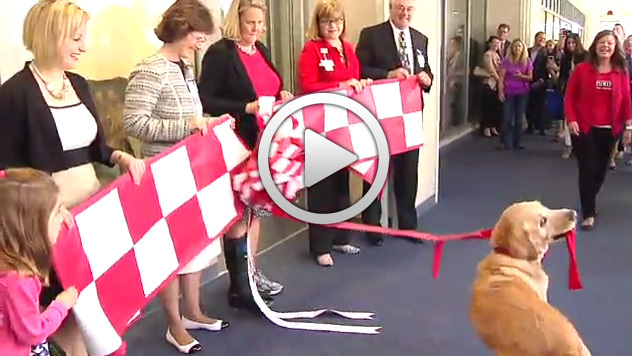 It will also include toys for the pets and Purina treats the patients can feed their pets. 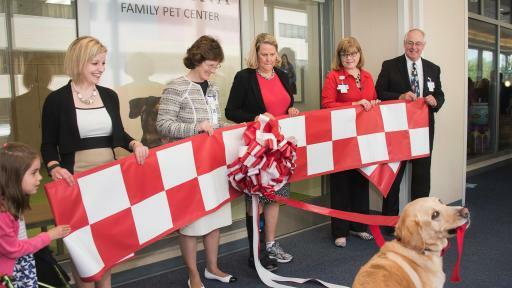 Purina has participated in the planning and design of the new pet-friendly center at St. Louis Children’s Hospital. With expertise in animal behavior, the company shared information and provided advice to make the visit of the dogs and cats with their families as pleasant, safe and fun as possible. 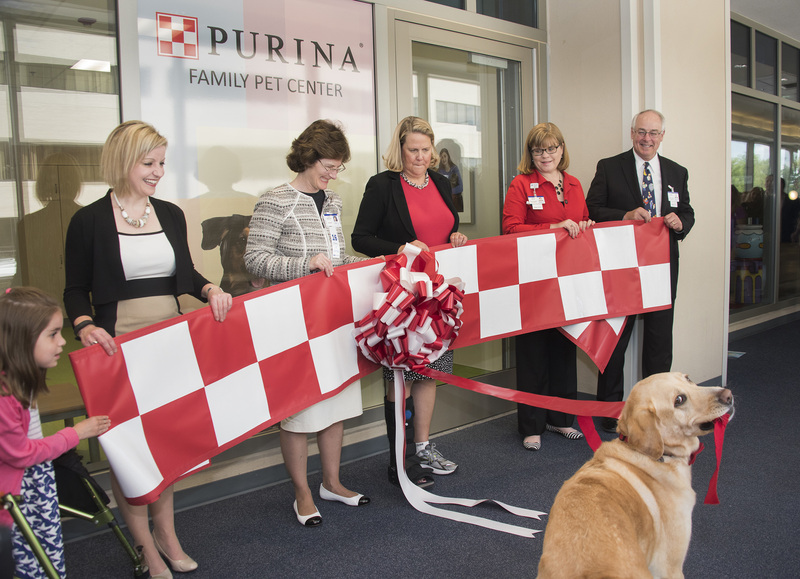 Purina behaviorists provided insights on the type of construction materials, access flow for the pets, furniture, paint colors and photos that will make the space warm and welcoming for the families and pets. Madison’s mother, Desiree Taliaferro, echoes that sentiment. Though three years removed from transplant, her family still remembers those days and weeks clearly. 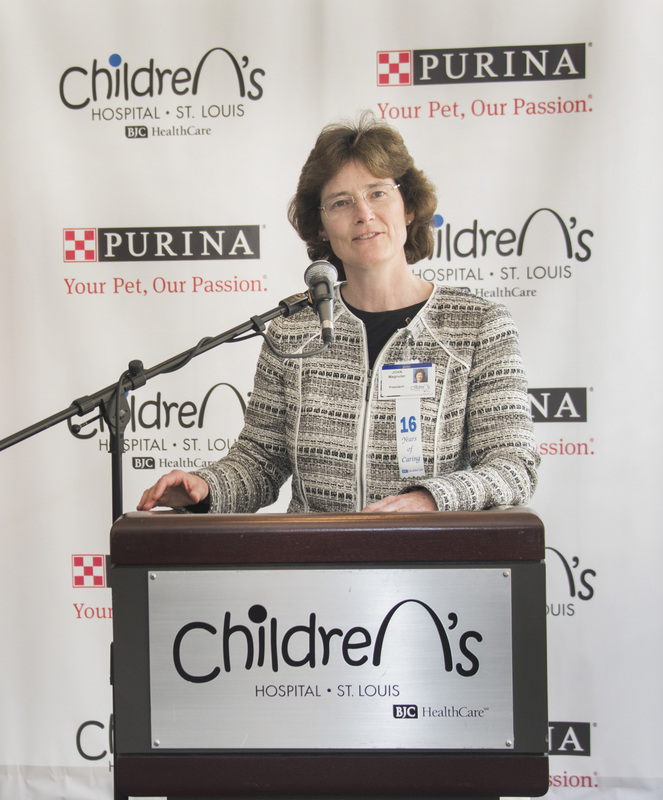 St. Louis Children’s Hospital has provided specialized care for children for more than 130 years. 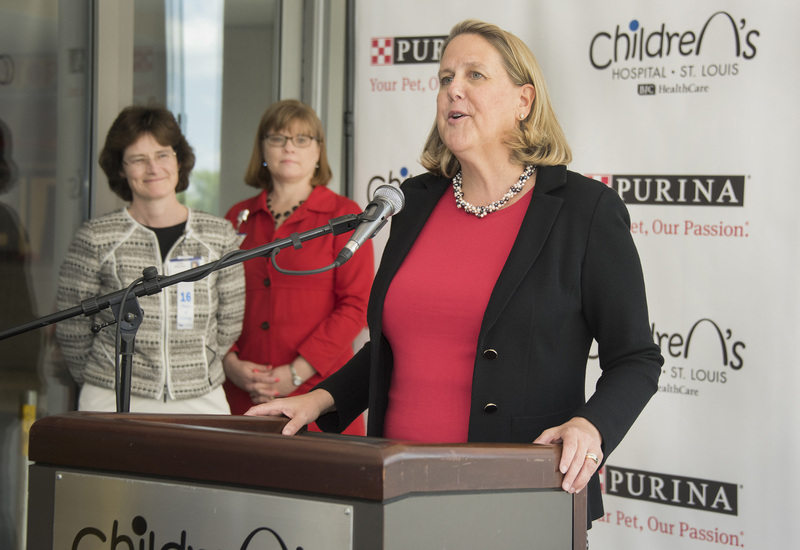 US News & World Report ranks St. Louis Children’s among the best pediatric hospitals in the nation. In 2015 the hospital received the Magnet re-designation from the American Nurses Credentialing Center, the nation’s highest honor for nursing excellence. 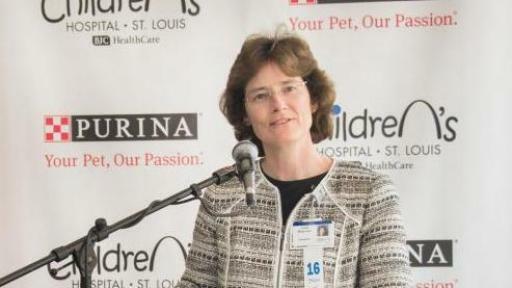 St. Louis Children’s Hospital is affiliated with Washington University School of Medicine, one of the leading medical research, teaching and patient care institutions in the nation. The hospital is a member of BJC HealthCare. For more information, visit StLouisChildrens.org, or find us on Facebook and @STLChildrens on Twitter.